The Construction Trades class at the Pierce County Skills Center teaches students a variety of skills that will set them on their way to a future career. 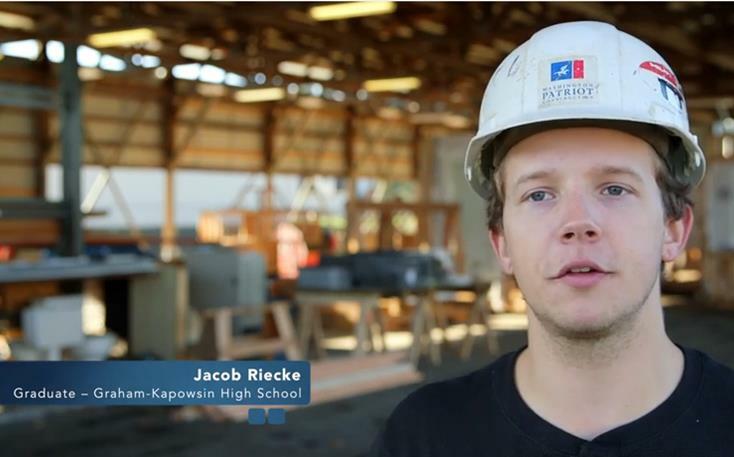 Jacob Riecke, a first period apprentice, was sponsored into the Carpenters Apprenticeship Program by WA Patriot Superintendent, Rory Godinez, and is featured in this video. We are proud to have him represent the WA Patriot team!